“This was easily one of the kindest things I've ever received," he said. One California Starbucks barista got a major surprise on March 21 when a customer returned to apologize for her behavior from the day before. 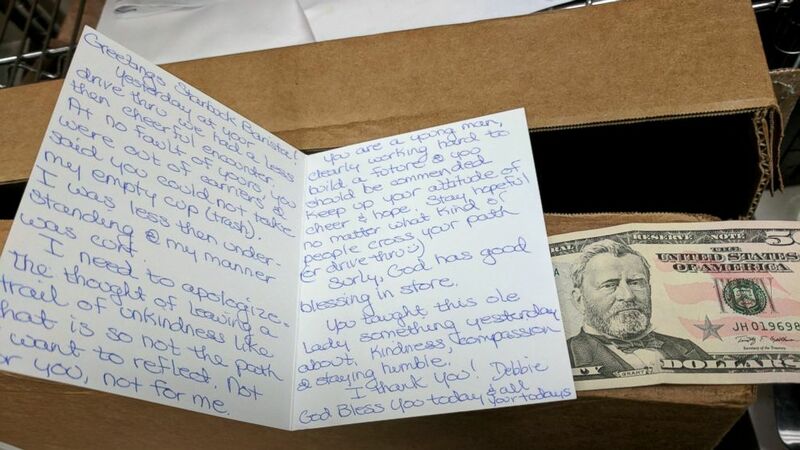 Andrew Richardson, 20, was floored when he received a handwritten card and $50 bill from his customer named Debbie, whom he admits he didn’t even think was that rude. 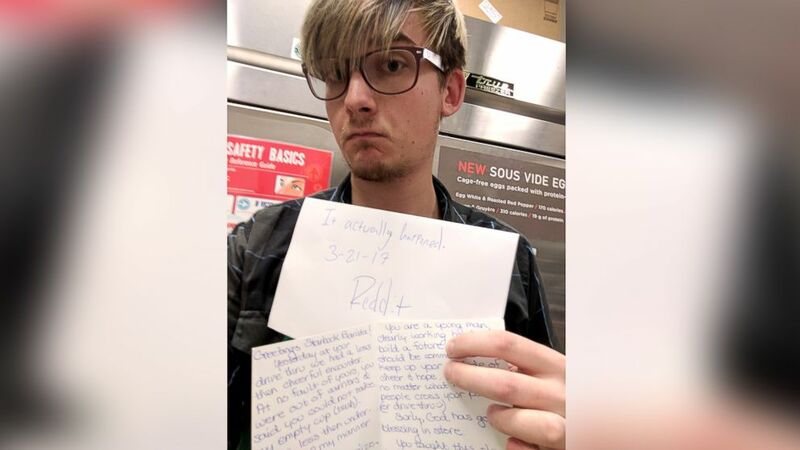 (Courtesy of Andrew Richardson) Starbucks barista Andrew Richardson was shocked when a customer returned with a handwritten card and $50 bill to apologize for her behavior. In addition to being out of drink carriers, he also couldn’t take her trash she was hoping to throw away. Richardson carried on with his day and didn’t give it a second thought. But Debbie apparently felt otherwise. The two chatted for a few minutes and Richardson said her in-person “genuine apology” alone was enough to lift his spirits, without even knowing what was going to happen next. He hadn’t yet opened the card before Debbie drove away. Richardson’s supervisor told him he could keep the money. “She handed it to him in a personal card so of course he was able to keep it,” one of the location’s supervisors, Angie Harris, told ABC News.